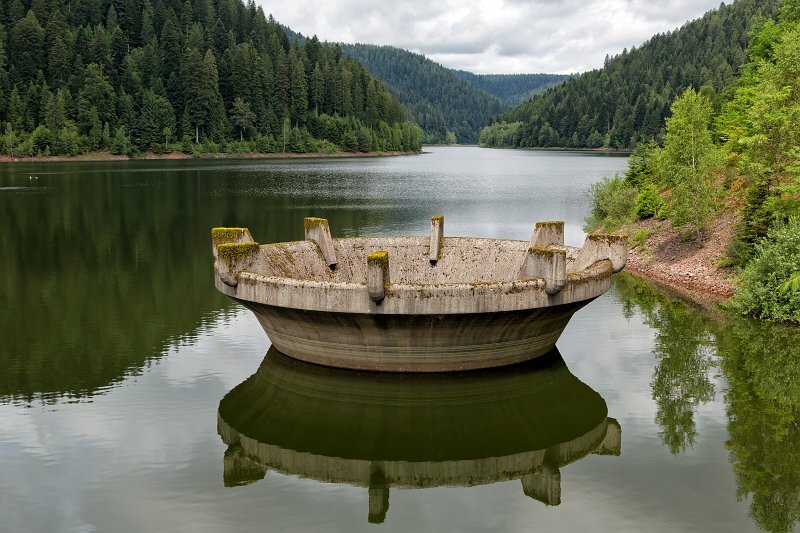 The Kleine Kinzig Dam is a dam which was commissioned in 1984 in Reinerzau near Freudenstadt in Germany's Black Forest. It lies within the state of Baden-Württemberg and supplies drinking water, provides flood protection, drought protection and power generation using hydropower. It impounds the Kleine Kinzig river. The dam was constructed from May 1981 to October 1982. The initial impoundment of the river lasted from 13 December 1982 to June 1984.